Digitization has transformed the way we interact with our social, political and economic environments. While it has enhanced the potential for citizen agency, it has also enabled the collection and analysis of unprecedented amounts of personal data. This requires us to fundamentally rethink our understanding of digital citizenship, based on an awareness of the ways in which citizens are increasingly monitored, categorized, sorted and profiled. 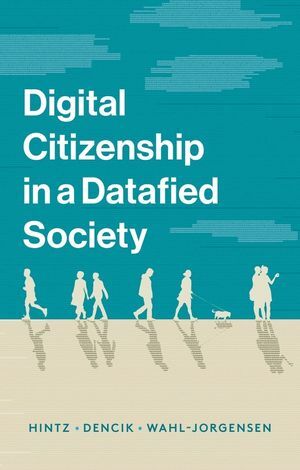 Drawing on extensive empirical research, Digital Citizenship in a Datafied Society offers a new understanding of citizenship in an age defined by data collection and processing. The book traces the social forces that shape digital citizenship by investigating regulatory frameworks, mediated public debate, citizens' knowledge and understanding, and possibilities for dissent and resistance. Arne Hintz is Senior Lecturer in the School of Journalism, Media and Cultural Studies at Cardiff University. Lina Dencik is Senior Lecturer in the School of Journalism, Media and Cultural Studies at Cardiff University. Karin Wahl-Jorgensen is Professor of Journalism, Media and Communications at Cardiff University.